Wow, its been a long time away from the blogosphere! Don't worry, we're slogging away so much that blogging has been out of the picture, but stay tuned for updates on mass manufacturing and availability of the all new 2009 Team FX Mountain Moto due out later in 08! As a downhill MTBer I am really excited about your bikes. I can't wait to get my hands on one and hit some trails! Whereabouts in the world do you ride? 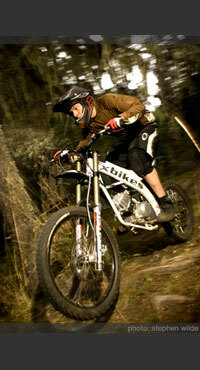 Do you think downhillers will have trouble adapting to moto power and finding moto-legal trails to ride on in your area?